Silver Ball Metal Pendulum is a beautifully carved at Natural Agate factory. 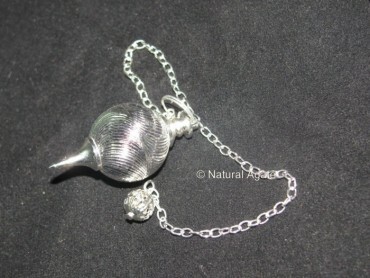 Silver enhances psychic mind and intuitive abilities. It can help you in answering questions relating to love, money, heath etc.